The general welfare of the group depends on the conduct of the individual members. This insures the success of our Lodge fellowships and provides the maximum benefit to every participant. As an Arrowman, I understand this and support the reasonable demands of conduct expected of me. 1. Observe the Scout Oath or Promise, the Scout Law, and the Obligation of the Order of the Arrow. 2. Wear my official uniform and regulation sash throughout Lodge functions unless otherwise directed by the Lodge Vice-Chief of Administration. 3. Attend planned and general training sessions. 4. Confine the trading and swapping of Scout related items to free periods and designated areas. 6. Observe quiet hours and lights out hours. 7. Keep my quarters clean and dispose of trash in the proper places. 9. Allow no unregistered person to remain in camp unless approved by the Key-3. 10. Wear suitable covering in the campsites and to and from the latrine. 11. Observe all rules regarding the use of the shooting range. 12. Understand that the purchase, possession, or consumption of alcoholic beverages or illicit drugs at the fellowship will not be permitted. This standard applies to all participants, both youth and adult. 13. Respect the fellowship rules prohibiting the use of fireworks, firearms, and gambling. 14. Respect the general Camp Old Indian rule prohibiting the use of vehicles in the campsites. 15. Not be authorized to sell items at the fellowships. I understand that the official trading post will be the only source for purchasing items at the fellowship. 16. Not leave Camp Old Indian during the fellowship without obtaining permission from members of the Key-3. 17. Be generally considerate of others and their chosen beliefs and practices. A. This Order of the Arrow Lodge Number 185 will be known as the Atta Kulla Kulla Lodge. B. The totem of the Atta Kulla Kulla Lodge shall be the whippoorwill. C. This Lodge shall be affiliated with the Blue Ridge Council, Boy Scouts of America, and shall be under the supervision of the Council Camping Committee and the administrative authority of the Council Scout Executive. A. To be an active brother in the Atta Kulla Kulla Lodge, a brother shall be registered with the Boy Scouts of America and shall have paid his current Lodge dues. B. An inactive brother shall be restored to active status by paying current dues, provided the inactive brother is currently registered with the Boy Scouts of America. This provision of registration in the BSA is validated by the Lodge Secretary prior to the brother returning to active status. C. The Lodge Secretary shall be able to accept transfers at his own discretion. D. This Lodge shall follow the rules in the latest printing of the ORDER OF THE ARROW HANDBOOK concerning the election of Ordeal candidates. E. Ordeal members who meet the requirements for Brotherhood membership shall be given the opportunity to seal their membership in the Order of the Arrow at the Spring Fellowship, Fall Fellowship, and Summer Resident Camp at Camp Old Indian. Offsite Brotherhood questioning may be held at any time as long as a Lodge Officer (or active youth Vigil Honor member of Atta Kulla Kulla Lodge), adult representative, and youth witness are present. Brothers who pass questioning outside Lodge events must go through the Brotherhood ceremony within one year of the questioning. F. Atta Kulla Kulla Lodge adheres to national policy regarding the selection and induction of Vigil Honor candidates. This information is printed in the current edition of the Guide for Officers and Advisers. A. The six officials of this Lodge are as follows: Lodge Chief, Vice Chief of Administration, Vice Chief of American Indian Activities, Vice Chief of Communications, Vice Chief of Inductions, and Secretary. B. The Vice Chief of Administration, Vice Chief of American Indian Activities, Vice Chief of Communications, and Vice Chief of Inductions are of equal rank and status, except when the Lodge Chief is absent. Then, the Vice Chief of Administration will preside. 1. Be a Brotherhood or Vigil Honor member currently registered with Atta Kulla Kulla Lodge #185. 2. Be a registered member of the Blue Ridge Council. 3. Serve previously as a Chapter Chief, Lodge Committee Chairman, or equivalent position in another Lodge for at least one term. The Lodge Chief must serve as a Lodge Officer for at least one year prior to the election. 4. Be an active member of Atta Kulla Kulla Lodge and his Chapter. 5. Must have attended at least one Lodge Fellowship in the past year. 6. Must be present at the time of the election. 7. Must be under 21 years of age for the entire term of office. 8. It is suggested, but not required, for each elected officer to work at Camp Old Indian the summer following his election if selected by the Camp Director. D. The term of the Lodge Officers will be one year, beginning at the close of the Fall Fellowship during which they were elected, and ending at the close of the following Fall Fellowship. This rule will also affect the Chapter Officers and Committee Chairmen. 1. Oversee the day-to-day running of the Lodge. 2. Delegate unwritten duties to the other Lodge Officers in keeping with their jobs and provide help when necessary. Also, check reports from various committees and Lodge Officers. 3. Provide a written agenda to all Executive Committee members within seven (7) days prior to the Executive Committee Meeting. 4. Keep informed of what is going on in the Lodge and make sure that other Lodge members are informed on all important matters. 5. After the election of new Lodge Officers, it is the responsibility of the Lodge Chief to properly train the other five Lodge Officers before the first Executive Committee Meeting. 6. Responsible for training Chapter Chiefs and seeing that the Chapter Chiefs train the other Chapter Officers. 7. Preside at all Executive Committee Meetings and all other Lodge functions. 8. Serve on all committees as an ex officio member (by virtue of his office). 2. To issue a Planbook to new members. 3. To have quarterly issues of the Little Carpenter unless deadlines are set otherwise. 4. Collaborate with the Lodge Secretary to ensure the Lodge is informed of Executive Committee Meetings and Lodge events. 1. Ensure the Lodge is appropriately represented in all AIA areas at council, section, and national events. 2. Advise chapters and individual dancers on American Indian Activities. 3. Work with his Adviser to coordinate contingents to events such as the Carolinas Indian Seminar. Ceremonies Committee, Dance Committee, and Drum/Sing Team Committee. 1. Ensure that inductions processes adhere to national guidelines. Service Committee, Brotherhood Committee, and Inductions Committee. 3. Along with the Secretary, work with the Chapter Advisers to see that the proper elections are carried out and that all paperwork is submitted correctly and on time. 4. To work with the Service Chairman to plan and organize suitable projects for the candidates to complete during their Ordeal. 5. To be aware of any and all medical conditions or religious practices that may have an effect on the running of the Ordeal. 10. To coordinate Brotherhood questioning and review sessions. 1. Keep the Executive Committee informed of the membership status and JTE progress of the Lodge. 2. Inventory and make sure all supplies and merchandise are in stock before each function at which Lodge supplies will be on sale. Order items not in stock. 3. Issue membership cards promptly upon receiving dues. 4. Inform members when they become eligible for Brotherhood conversion (See OA HANDBOOK for requirements). 5. Keep records of all business conducted by the Lodge and keep minutes for all Executive Committee Meetings. 6. Inform the necessary brothers of the Lodge Officer Meetings and Executive Committee Meetings within seven (7) days of that meeting. 7. Keep the record on all active brothers, individually. 8. To assist the Lodge Chief and Lodge Adviser in applying for all section, region, and national awards. 10. Assist with check-in during all Lodge events. K. Candidates for Lodge office will be certified and validated by the Lodge Adviser concerning their eligibility. L. The Executive Committee has the power to remove ANY Lodge Officer from his elected position who, in their eyes, has not performed his duty. This can only be done after the approval of the Lodge Adviser and Staff Adviser, then by a two-thirds (2/3) vote of removal by the entire Executive Committee. A successor to any office will be appointed by the Lodge Chief with the approval of the Executive Committee, Staff Adviser, and the Lodge Adviser until the next election. A new Lodge Chief will be appointed by the Executive Committee with a two-thirds (2/3) favorable vote toward the new “proposed” Chief, in the event that the present Lodge Chief is no longer able to fulfill the duties or obligations of his office. A Lodge Officer may resign by submitting a letter to the Key Three of the Lodge, at which the Lodge Chief will appoint a successor with the approval of the Executive Committee, the Lodge Adviser, and the Staff Adviser. This successor will serve until the next election. If the Lodge Chief resigns, the Executive Committee will appoint a successor to fill his spot. Upon arrival of the candidates at each Fall Fellowship, each candidate must present his proof of registration in the Boy Scouts of America and the Order of the Arrow to the Lodge Adviser at registration for the Fellowship. Each candidate will then fill out the applications given to him by the Lodge Adviser. These applications must be filled out and returned to the Lodge Adviser by the end of lunch on Saturday of each Fall Fellowship. Then, it is the duty of the Lodge Adviser to put on display in the Trading Post and Dining Hall the names of the candidates running for all offices. This should be done as soon as possible. Also, it is the duty of the Lodge Adviser to have completed in advance a large display sheet or poster provided by the Lodge to be used in the general election. This poster or sheet is to be on display upon arrival of brothers at the place of the general election. Of course, this can be done after the deadline of the candidate applications has been executed. This deadline may be extended at the discretion of the Lodge Adviser. A. Committees exist to make it easier to carry out the work of the Lodge. B. Committee assignments will be split among the various chapters to ensure adequate representation of each Chapter. C. The Executive Committee of the Lodge shall be composed of the following: Lodge Officers, the immediate past Lodge Chief, the Staff Adviser, the Lodge Adviser, the Associate Lodge Adviser(s), the Chairman of each special ad hoc Committee (if any), the Chairman of each standing Committee, Chapter Chiefs or their duly appointed representative, Chapter Advisers, and the Advisers of all Committees. D. The Standing Committees of Atta Kulla Kulla Lodge 185 shall be as follows. 1. The Planning Committee, chaired by the Assistant Vice Chief for Planning, is responsible for all knowledge and training sessions and for spirit and competition preparation for Dixie Fellowship. Working with the Quest Event and Totem Pole Committee, the Planning Committee shall also oversee all preparation for the Dixie Fellowship. 2. The Service Committee, chaired by the Assistant Vice Chief for Service, is responsible for planning and leading service projects to be done at Fellowships, during Ordeals, and any other Lodge-wide days of service. The Service Committee shall recruit participants and obtain materials for service projects with assistance from the Camp Ranger. 3. The Ceremonies Committee, chaired by the Assistant Vice Chief for Ceremonies, is responsible for ensuring the Ordeal ceremonies, the Brotherhood ceremony, and any other ceremonies conducted by the Lodge comply with National policies and guidelines. The Ceremonies Committee is responsible for equipping each team with suitable and historically accurate outfitting with the assistance of the American Indian Activities Adviser. The Ceremonies Committee also is responsible for forming teams to compete in ceremonies competitions at Dixie and NOAC. 4. The Vigil Honor Committee is responsible for nominating a yearly class of brothers for the Vigil Honor, the summer Vigil Honor Callout, and the induction at the Fall Fellowship. As a part of the Vigil Honor Committee, a nominating committee shall be formed by the Vigil Honor Committee Chairman and will meet annually to elect a new class of Vigil Honor members. In order to serve on the nominating committee, one must not be eligible for the Vigil Honor. All active youth Vigil members and one representative from each Chapter will be invited to be on the nominating committee. The line of succession for the Vigil Chief shall be appointed by the outgoing Vigil Chief (with approval from the Lodge Adviser) and it should be understood to remain in this role for the entire duration of time that the individual has left as a youth member. The Vigil Chief should participate in evaluations at NOAC if able. 5. The Inductions Committee is responsible for ensuring that the Ordeal and Brotherhood inductions comply with National policies and guidelines. The Inductions Committee is responsible for carrying out every aspect of Ordeals, recruiting Elangomats and Nimats, and overseeing Brotherhood questioning at Lodge events and assisting the Ceremonies Committee in preparing ceremonial grounds. 6. The Dance Committee is responsible for preparing the Lodge historical group dance team for competitions at Dixie and NOAC and any other performances where they will be representing the Lodge. The Dance Committee is also responsible for assisting individual dancers who wish to represent the Lodge at competitions or other events. 7. The Drum/Sing Team Committee is responsible for preparing the Lodge drum/sing team for competitions at Dixie and NOAC and any other performances where they will be representing the Lodge. 8. The Unit Service and Elections Committee is responsible for ensuring that all Chapters are conducting elections in compliance with National policies and guidelines and ensuring that all Chapters submit appropriate paperwork regarding elections. Additionally, the Unit Service and Elections Committee shall oversee promotion of the Unit of Excellence Award and provide guidance to Troop Representatives in the Blue Ridge Council. 9. The Brotherhood Committee is responsible for notifying Brotherhood eligible Ordeal members of the Lodge of their eligibility to seal their membership. The Brotherhood Committee is also responsible for assisting the Inductions Committee with Brotherhood questioning. Working with the Lodge Secretary and Vice Chief of Inductions, the Brotherhood Committee shall encourage inactive Arrowmen to renew membership and to participate in Lodge activities. The Brotherhood Committee shall also oversee the Lodge’s Quest for Brotherhood program and “Get Your Bars!” campaign. 10. The Camp Promotions Committee is responsible for promoting camping and Camp Old Indian in troops within the Blue Ridge Council. The Camp Promotions Committee shall reach out to the Blue Ridge Council Camping Committee for guidance and ensure that Troop Representatives in the Blue Ridge Council are routinely promoting Camp Old Indian and other camping opportunities. 11. The History Committee is responsible for maintaining the historical records of the Lodge and shall ensure that the Lodge History Book, Planbook, and website historical records are kept updated and revised routinely. The History Committee shall also assist in the assembly of the latest edition of the Lodge’s Patch and Memorabilia Guide. 12. The Web and Technology Committee shall oversee development and routine updates of the Lodge website, various social media accounts, and shall assist with any technology utilized at Lodge events if necessary. 13. The Publications Committee shall work with the Vice Chief of Communications to publish a Planbook, issues of the Little Carpenter, and any other publications deemed necessary by the Vice Chief of Communications. 14. The Design Committee shall oversee the design of Lodge merchandise items to be presented for approval at Executive Committee Meetings and oversee the design of the upcoming year’s event patch set to be presented for approval at the Fall Fellowship Executive Committee Meeting. 15. 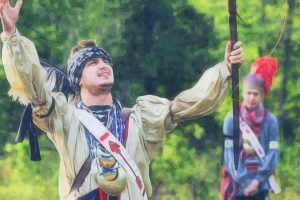 The Quest Event and Totem Pole Committee shall oversee Quest events run by Chapters at Fellowships and ensure complete preparation for the Quest for the Golden Arrow competitions at the Dixie Fellowship. Additionally, this committee shall oversee preparation of a totem pole carving team that will compete at the Dixie Fellowship. 1. The Executive Committee shall see that the Lodge runs on a smooth yearly calendar. 2. The Executive Committee shall publish in the Lodge newsletter a yearly calendar which shall include: Lodge meetings, events, and Executive Committee Meetings. This calendar, which is subject to change by the Executive Committee, shall be drawn up as soon as possible after the installment of the new Lodge Officers. F. The chairman of each standing and special Committee will be appointed by the Lodge Chief with the approval of the Lodge Adviser. G. The Chairman of each Committee (standing and special) will appoint his own Committee members with the approval of the Lodge Chief. H. The Advisers of each standing Committee will be appointed by the Lodge Adviser with the approval of the Lodge Chief and the Staff Adviser. I. All Committee Chairmen shall be under 21 years of age. A. The Executive Committee shall schedule at least four (4) Lodge events a year. B. The Executive Committee may, at its discretion, schedule any Lodge events. C. Regular Executive Committee Meetings shall be conducted only when all Committee members have been notified in writing at least seven (7) days in advance of such a meeting by the Lodge Secretary. D. Each Executive Committee Meeting and Lodge or Chapter meeting shall be opened with the Obligation of the Order and closed with the Order of the Arrow Song. E. The Lodge Chief may call a special Executive Committee Meeting with the prior approval of the Scout Executive or his designee. F. A quorum for Executive Committee Meetings shall consist of the Executive Committee members under 21 years of age attending the meeting. G. Only active members of the Lodge under 21 years of age shall have a vote in any decision of the Lodge. H. The only authorized attire at Lodge functions is the class A Boy Scout uniform with the Order of the Arrow sash unless class B is authorized by the Lodge Chief or presiding officer. A. Chapters exist to further the effectiveness of the Lodge. B. Each Chapter shall come under the supervision of the Chapter Adviser and the District Scout Executive in whose service area the Chapter serves. C. Each district of the Blue Ridge Council shall be entitled to form a Chapter of the Atta Kulla Kulla Lodge provided that the requirements listed below are met, and with the approval of the Lodge Executive Committee and the Scout Executive. 1. Each Chapter shall have at least five (5) brothers of the Atta Kulla Kulla Lodge. 2. Each Chapter shall have an adult Adviser. 3. Each Chapter shall have regular meetings, preferably six (6) per year. 4. Each Chapter meeting shall be opened with the Obligation of the Order and closed with the Order of the Arrow Song. 5. Each Chapter shall have at least two (2) service projects per year. 6. Each Chapter shall review the Ordeal ceremony once a year, going over what is meant by the ceremony. 7. Each Chapter shall comply with the procedures established by the Executive Committee for the recognition of Chapters. 8. Each Chapter must provide Order of the Arrow elections to the Units in their respective Districts by the designated deadline and present a camp promotion program to all Units in their Districts that request one. 1. Allogagan Wulit (He Who Serves Best) serving the Scouts of the Saluda River District. 2. Ani-Wa’ya (The Wolf Clan) serving the Scouts of the Southbounder District. 3. Ca-Nu-Pa (The Keepers of the Peace Pipe) serving the Scouts of the Six & Twenty District. 4. Machtagen Tulpe (Warrior Turtle) serving the Scouts of the Long Cane District. 5. Oconostota (Named for the Cherokee Warrior) serving the Scouts of the Reedy Falls District. 6. Oolenoy (The River) serving the Scouts of the Pickens District. 8. Inali (Black Fox) serving the Scouts of the Oconee District. E. The Chapter Officers shall be the Chapter Chief, Chapter Vice Chief, and Chapter Secretary. F. Their duties shall be similar to those of the corresponding Lodge Officers. G. Larger Chapters may have more officers with the approval of the Executive Committee. H. The Chapter Chief shall normally represent his Chapter at the Executive Committee Meetings. I. The Chapter Chief shall appoint another brother, normally the Chapter Vice Chief, to serve in his absence at the Executive Committee Meetings. J. If any officer other than the Chapter Chief does not do his job for any reasonable reason, the Chapter Chief, after gaining approval of the Chapter Adviser and the Lodge Chief, may call a new election at the next Chapter meeting. The Chapter Officer whose performance is under question must be consulted before the election to see if he wishes to retain his office. K. If a Chapter Chief does not do his duty for any reasonable reason, the Chapter Vice Chief, with the approval of the Chapter Adviser and Lodge Chief may call a new election at the next Chapter meeting, The Chapter Chief whose performance is in question must be consulted before the election is held to see if he wishes to retain his office. L. All Chapters will conduct their elections at the Fall Fellowship and must notify the Lodge Chief of the results by the end of the weekend. Elections may be scheduled at another time only with the approval of the Lodge Chief. M. Any Chapter desiring to do so may conduct its own Callout as long as the script, time, date, and place are approved by the Lodge Chief prior to the Callout. A. All expenditures shall be made only with the consent of the Executive Committee present and voting favorably at a regular or called meeting of the Executive Committee. However, necessary expenditures may be approved by the Lodge Key Three between Executive Committee Meetings. B. The Lodge Secretary shall present an annual budget that shall be published in the Lodge Planbook. A. The Lodge newsletter, the Little Carpenter, shall be published at least three (3) weeks before the Spring and Fall Fellowships, and then at the joint discretion of the Lodge Chief and the Vice Chief of Communications. B. The Little Carpenter shall be sent to all active brothers. 1. A letter from the Lodge Chief if he wishes to submit one. 2. A letter from the Lodge Adviser if he wishes to submit one. 3. News from each Chapter concerning its projects, ideas, and etc., that it wishes to submit. D. The Lodge Planbook is published yearly and will be available to all dues-paying members and new Ordeal members. 1. General information for new members. 2. Contact information for the Lodge Officers and Advisers, Committees, and Chapters. 3. The Lodge Code of Conduct. A. The Chapter of the Year Award will be presented at the annual Lodge Winter Banquet to the Chapter receiving the most points in a one-year period. The criteria for judging will be left to the discretion of the Lodge Officers with the approval of the Lodge Adviser. B. The Founder’s Award may be presented to one Brotherhood or Vigil Honor youth and adult member of the Lodge at the annual Lodge Winter Banquet. At an Executive Committee Meeting prior to the banquet, each Chapter may present two names (one youth and one adult). Two names (one youth and one adult) may be selected from this list by the Executive Committee as honor Lodge members to receive the Founder’s Award. In the event that an Ordeal member is selected, a plaque will be presented in the place of the Founder’s Award. A. Robert’s Rules of Order shall be the final authority in all cases of parliamentary procedure. B. The Lodge Chief may, at his discretion, appoint a parliamentarian to help him interpret procedural questions. C. The Lodge Chief shall make the members of the Executive Committee familiar with the above-stated authority. The way in which he does this is left to his discretion. A. The Lodge rules shall be subject to amendment at any regular Executive Committee Meeting, provided that written notice of such a proposed change has been submitted to all Committee members at least seven (7) days before such a meeting. The proposed change shall have attached to it a list of reasons for the proposed change and the author’s name and title, if any. A majority favorable vote of those present and voting shall be required for the change to take place. B. Amendments to the by-laws may be made at any regular or special meeting of the Executive Committee with two-thirds (2/3) vote of the Executive Committee present and voting. A. Attendance at National, Regional, and Area activities shall be promoted by the Executive Committee. B. Before a brother can attend a Dixie Fellowship, he must attend at least one of the two Lodge Fellowships immediately preceding the Dixie. C. The Atta Kulla Kulla Lodge will provide for one (1) delegate to attend the National Order of the Arrow Conference and National Leadership Seminar, this being the Lodge Chief. This will not include transportation fees. D. The Code of Conduct will be followed by all AKK members attending any Lodge function. A. Each brother honored by the Lodge with the Vigil Honor shall receive, at no cost to him, a Vigil Honor sash and other such materials as may be deemed necessary by the Vigil Honor Committee. B. Any active brother of the Atta Kulla Kulla Lodge may purchase OA supplies at Lodge functions or through an authorized person at summer camp. C. Active members of the Lodge are only authorized to buy supplies which reflect their current or past status of OA membership. All members are encouraged to wear the flap signifying their current Honor. A red border standard flap shall signify Ordeal membership, Brotherhood shall be represented by a green border, and the Vigil Honor is signified by a white border.